The magical holiday season comes alive with Ballet Wichita’s The Nutcracker. For over 40 years, we have brought one of the most well-known holiday stories to life through dance. It’s the timeless story of Clara, a lively Nutcracker, a Snow Queen and some mice to help keep audiences on their toes! Held in December to sold-out audiences throughout Kansas, The Nutcracker is our biggest production of the year. Joined by a live performance from the Ballet Wichita Symphony Orchestra, The Nutcracker is a favorite for Wichita audiences every year. Ballet in the Park has been delighting audiences for almost 30 years. 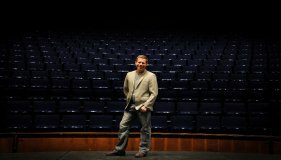 The event is free, open to the public, and is a 45 minute performance. 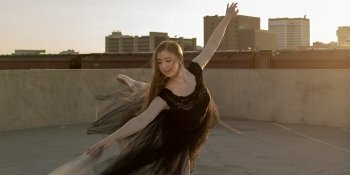 Ballet in the Park is held in parks in Wichita and surrounding areas, including Augusta and Mulvane, featuring a different production every year. Last year, our Ballet in the Park series delighted over 5,000 attendees during the summer and fall. Past productions of Ballet in the Park include Peter Pan, The Wizard of Oz, Snow White, Peter and the Wolf, A Prairie Tale, and Alice in Wonderland. It’s a relaxed and casual atmosphere where those in attendance can meet and mingle with the dancers after the show!